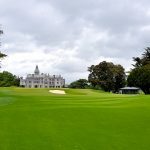 Where to play golf in Ireland? 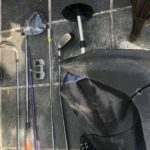 Where to play golf in Ireland? 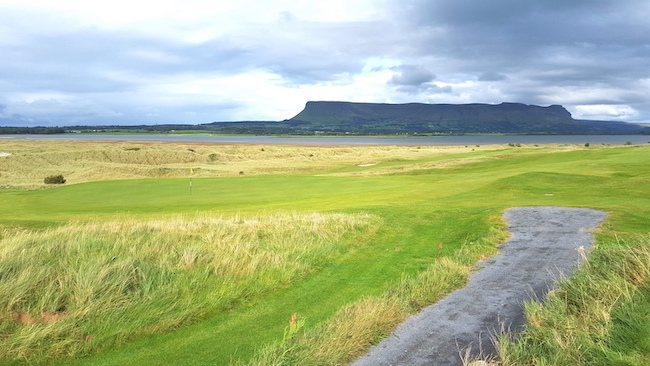 Indeed, playing golf on the great Irish golf-links is hard to beat. 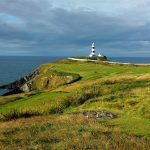 Essentially, the top Irish Golf Courses are known to golfers all over the world. 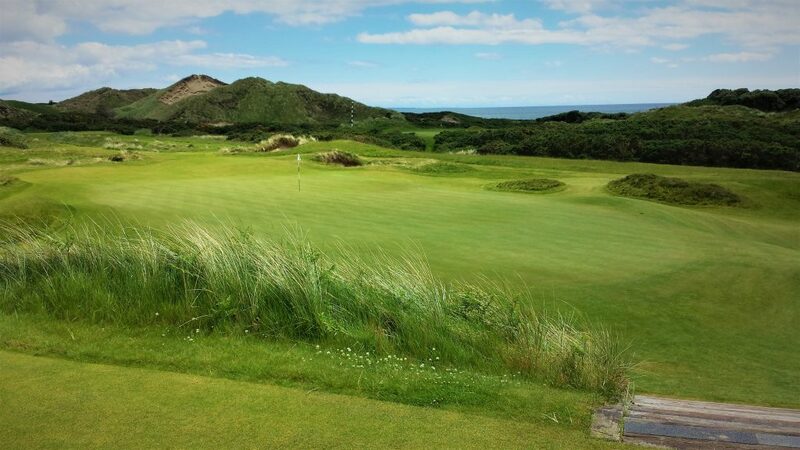 Certainly, Royal County Down Golf Club, Royal Portrush Golf Club, Ballybunion and Portmarnock Golf Clubs would possibly be on the top of the most famous list of course to play. However, there are more courses to play in Ireland. 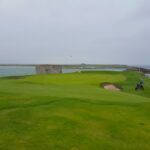 Notably, the golf course location is all over Ireland and we segment courses by region that we have laid out by the South of Ireland Golf, Northern Ireland and so on. A large part of our service is to identify what courses to play that makes sense for what the customer’s travel needs are. In addition, CGI arranges the best suited times available at each golf course and the logistics. If you are undecided on how many golf courses you would like to play? We are here to help and contact us today and our experts will talk to you and to help you decide where to play golf in Ireland. The following are a list of Golf Courses located in Northern Ireland. Indeed, great golf courses to play golf and don't forget to book caddies in advance of travelling. Please take a look at where at the location for all the golf courses to play on the golf map of Ireland. Please take note of where the golf courses are located on the golf map. Whereas, Royal Portrush Golf Club to Old Head in the same day is difficult driving! 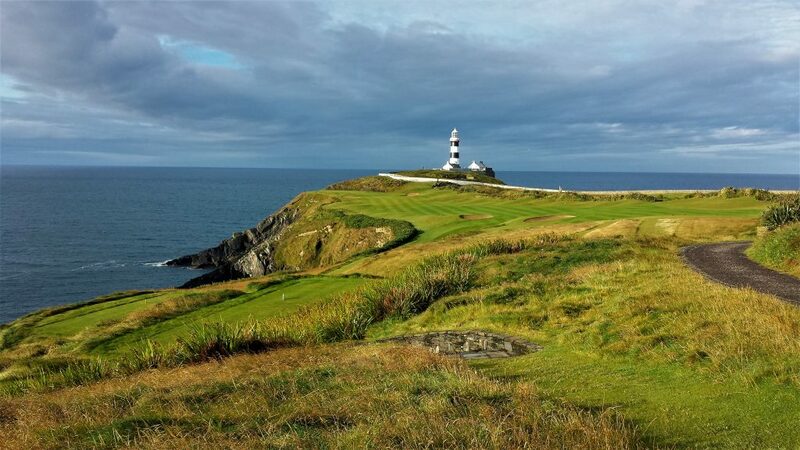 The Southwest of Ireland is packed full of great Irish Golf Courses to play. The following is a selected list of the best courses to play in the Southwest. 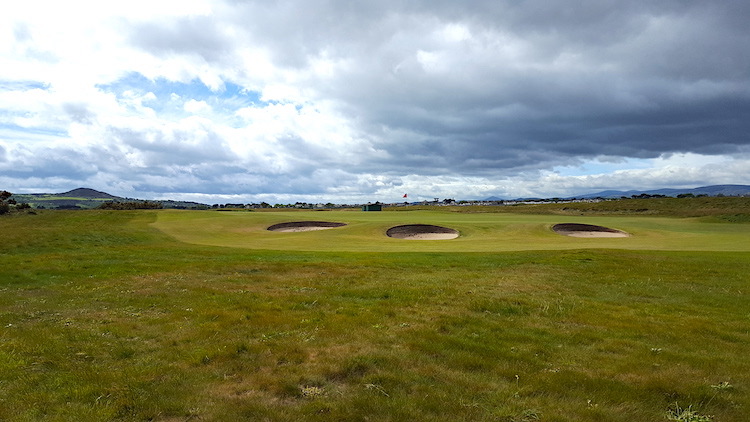 From Portmarnock Golf Club to Rosslare Golf Club, there are a lot of great Irish Links courses to play. Also, not to forget Irish Parkland Courses such as the K-Club and Druids Glen. Indeed, there is a lot of golf to be played in the West of Ireland. Also, the driving from course to course is packed with wonderful Irish rugged views. Certainly, a golf trip of interest would be starting at Ballyliffin and finishing in Galway. That would bed be a fantastic golf trips over a couple of weeks. Leave us a message and we will get right back to you! 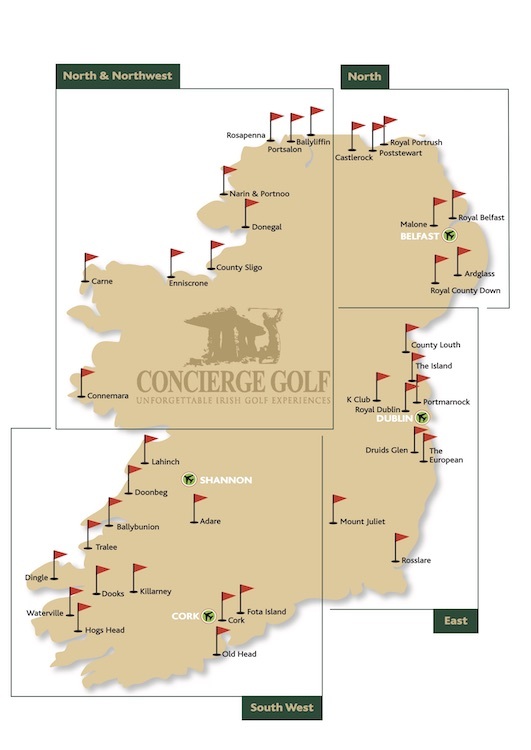 I consent to Concierge Golf Ireland store my submitted information so they can respond to my inquiry.